I'm not using a script to create tickets, just the same "Default - Create Automate Ticket" alert template we use for half our monitors. Never seen this merging behavior during 18 months of creating monitors. Thanks, that's good to know! It cuts-down on the number of pseudo-random combinations I have to try. I have a few other questions, if you happen to know off the top of your head; don't go to any trouble! - If I use a field like computers.computerid as IdentityField in the 2nd col, do I still need to include it again in the first part of the SELECT clause? - I'm using "Send Fail After Success", but the dialogue box says not to use date/time limiting with it. My monitor relies on several date conditions - could that be part of the problem? Gavsto's example here also uses DATE-based conditions, so it's obviously possible, which makes me wonder if there are just certain types of DATE-related syntax that this black-box of a SQL interpreter chokes on? Thanks Darren, looking at that now. BTW the official documentation says to use "IDField" instead of "IdentityField", but I'm assuming that's a typo? Every other guide I've looked at uses the latter. For your last 2 questions: No, the alerts are all for different computers at different clients. Yes there's a computer associated with the ticket. It's like it handled the first alert properly, but then just stuck the rest of the alerts for that monitor under the same ticket. In case it helps anyone, I found a quick-and-dirty way to monitor Dell PowerVaults for hardware or RAID problems without mucking-around with SNMP. Dell's Modular Disk Storage Manager (MDSM) software includes a command-line tool (SMcli.exe) that can output a list of the storage arrays it knows about and a brief health-status descriptor for each. "C:\Program Files (x86)\Dell\MD Storage Software\MD Storage Manager\client\smcli.exe" -d -v The output looks something like this: MAIN-SAN-1 [ip address] [ip address] Optimal BACKUP-SAN-1 [ip address] [ip address] Needs Attention SMcli completed successfully. So I created a remote EXE monitor on the server running MDSM that runs the above command and checks if the output contains the string "needs attention". The next version of the official Webroot plugin includes this function. 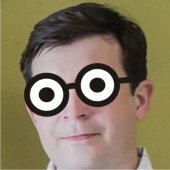 You can also hide your API creds in EDF's, create a Labtech script that passes them along with computerID, etc to PowerShell, and then make any API call you want in PoSH (that's what we do). How are other people with Webroot monitoring for threat detections on Macs? The 3.0 plugin does not pull detection data from the GSM console into the plugin_webroot3_threathistory table (as it does for PC's), and thus the "Webroot 3 - Active Infection" monitor never triggers for Macs. Webroot support confirmed this is expected behavior (since the mac client isn't "fully supported" yet).